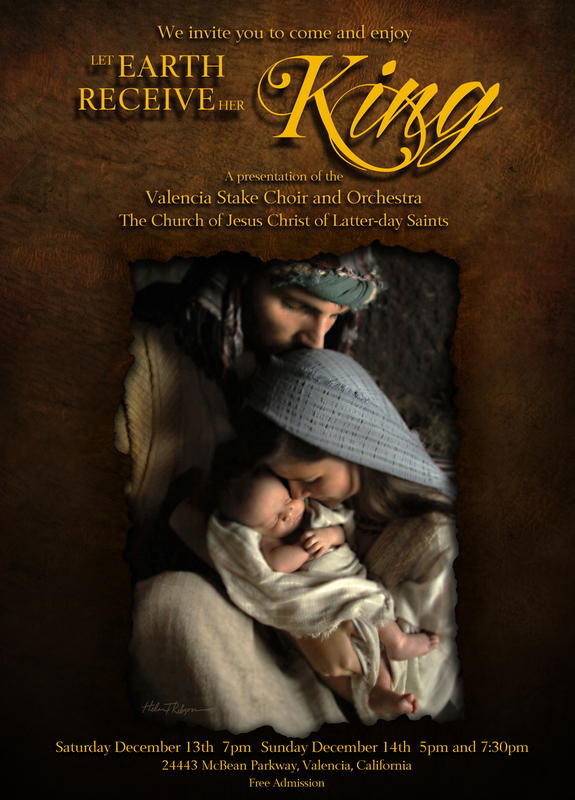 The Valencia Stake of The Church of Jesus Christ of Latter-day Saints invites the public to attend “Let Earth Receive Her King,” an annual Christmas Concert presenting the Biblical Christmas story of the birth and life of Jesus Christ. In addition to a choir, soloists and full orchestra, the performances will include a narrated visual presentation. There are three performances: Saturday, December 13th at 7 p.m. and two performances on Sunday, December 14th – at 5 pm and 7:30 pm. All performances will be held at the Valencia Stake Center located at 24443 McBean Parkway in Valencia. Each year, this dedicated choir and full orchestra rehearses and performs under the leadership of director and composer Richard Rich. Rich, formerly a Disney Animator, has directed and produced eight feature length animated films including The Swan Princess and The King and I, as well as the Living Scriptures animated films. “We love sharing our testimony of the Savior, Jesus Christ. It’s our opportunity for the Spirit to bear witness of the infinite impact of the Savior’s birth and to show our deepest reverence and love to our Heavenly Father for sending him,” said Rich. Admission is free and open to the public. For more information, call 661-253-3173. Is there a musical number based on throwing massive amounts of money and support behind Proposition 8? @Jared Gardner, really? Good to know you won’t be attending.